nonsense, probably propaganda by the bacon industry. any pork product is bad for your health. I usually I try to avoid any pork products, or just take a small portion. I just ate eggs with some sausage today, but I left most of the sausage in the plate. Everybody knows or should know how bad pork meat is for the body. You probably should do some research on the Weston Price Foundation. Read up on Weston Price. 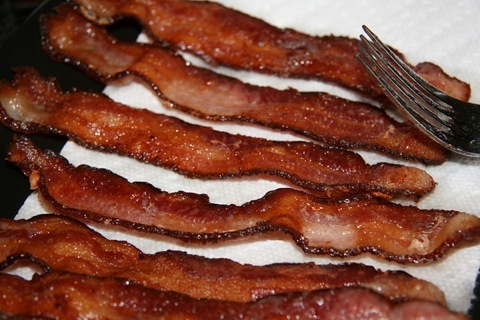 I like some bacon. If you buy it at the grocery store it is usually pretty good. If you get it on a burger at a fast food joint, it usually has very little flavor and as tough as shoe leather. Last edited by RandyWayne; 08-25-2013 at 03:20 PM. Last edited by Pressing-On; 08-25-2013 at 05:16 PM. 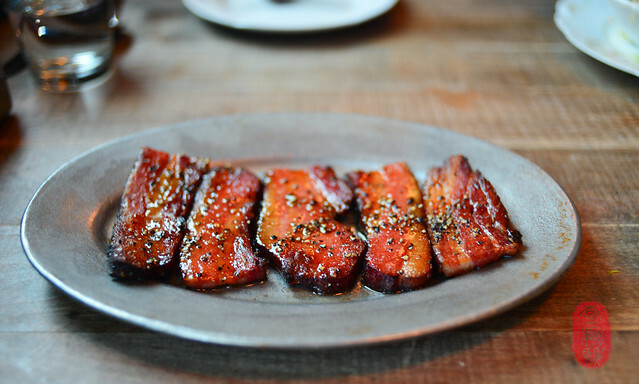 My favorite - thick-sliced peppered bacon! With just a slight drizzle of maple syrup. Pork is bad for anyone, I have read other books and I know that pork is definitely not healthy. Yes I am a hypocrite that sometimes has one piece of bacon with his eggs, but I seldom eat more than one piece. Pork is bad and if you do no believe that, you will eventually find out when in your old age you have all kinds of ills and diseases. . . . . Just like one of my grandpa's (and one of my wifes) who lived into their 90's eating a PILE of bacon every single morning for breakfast, as well as being, shall we say, ample beer drinkers.